Conflict coaching is a new Alternative Dispute Resolution (ADR) tool that is quickly becoming a very desired addition to mediation, or an option to counseling. As a way of assisting individuals effectively engage in conflict, coaches encourage their clients to self-reflect, allowing them to gain a deeper understanding of their inherent knowledge, skills and competencies when it comes to their own conflict styles. Through this awareness, individuals begin to experience a shift in thinking, as well as their handling of emotions, and how they respond to certain situations. Ultimately, this transformation begets a new perspective, empowering individuals to effectively engage in conflict, rebuild damaged relationships, and manage future interpersonal connections. Conflict coaching is a voluntary, one-on-one process, and is appropriate for anyone who wishes to learn how to manage conflicts in general, or is struggling with a specific dispute. As an addition to the Alternative Dispute Resolution (ADR) process, conflict coaching shares many similarities with mediation and counseling, but there are also some key differences. Just like mediation, conflict coaching is primarily used when a dispute is present, as a way of attaining a desirable outcome. However, unlike mediation, in which several parties may participate, conflict coaching is solely the interaction between the coach and the coachee. Similar to counseling, an attentive, impartial and supportive professional is trained to actively listen and provide thoughtful insights in a safe environment. However, conflict coaching is present- and future-oriented, with clear, defined goals, and is often times accomplished within a few sessions. Coaches do not diagnose a problem, prescribe medications, or aim to heal an unresolved psychological issue from the past. Instead, the essence of conflict coaching is to help an individual attain their self-established goals regarding the conflicts they are experiencing in their personal and/or professional lives. Sometimes, it is important to address the past in a coaching session, however, only as a means of tackling an obstacle standing in the way of the client reaching his/her goals. Often, an individual may choose to see a counselor or therapist, while partnering with a coach in order to address some of the deeper issues that may arise from their sessions. Similarly, if someone is too engrossed in their conflicts to effectively participate in coaching, they may choose to seek out a counselor or therapist before committing to work with a coach. Should I use a conflict coach? To determine if conflict coaching is right for you, first ask yourself what you would like to accomplish through the process. Being able to clarify your desired outcome will lead to a stronger partnership with your coach, and a greater ease of developing a strategy. We use the word “partnership” specifically because when you team up with a conflict coach, you are choosing someone to collaborate with, as well as someone who will challenge you to consider new perspectives and learn from your experiences. Then, ask yourself if you are truly ready to devote the time and energy it will take in order to make such positive and effective transformations in your life. 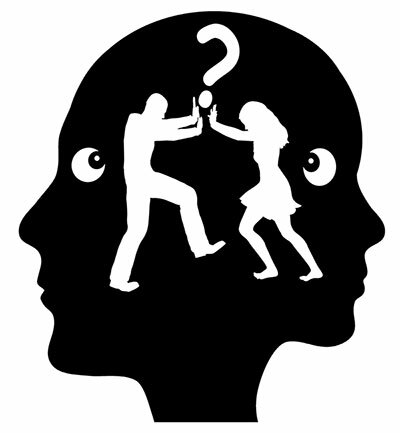 If you are ready to make such changes, and are looking for new, creative and effective ways to handle the inevitable conflicts life brings your way, then conflict coaching could be right for you. Teaming with a coach will set you on the journey to repair old dynamic relationships, while you build new harmonious ones with the people in your life.